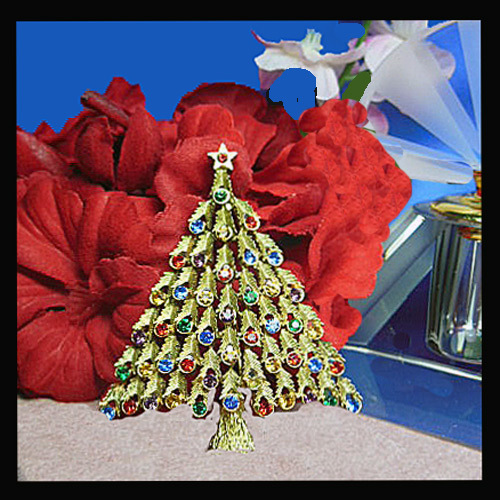 This is such a pretty, vintage, rhinestone ,brushed gold tone Christmas tree brooch, signed JJ. It features red, blue green and citrine rhinestones on an open- work background. A star with tiny red rhinestone tops this lovely tree. It measures 2 1/4" in length and 1 7/8" at the widest section near the base. Oh Christmas tree, Oh Christmas tree, who will your lucky owner be? ?